It remains one of the most jarring things anyone has ever said to me, one of those unplanned, unguarded lines people occasionally utter that are completely crazy, but at the same time make a weird sort of sense. It was January of 2009, and the bottom was beginning to drop out. If you were there, you’ll remember. The Great Recession was just starting to show the top of its ugly head on the horizon. As Stephen King might say, people could not yet see it, but they could smell it. The governor had announced unsettling predictions for the coming fiscal year and, in response, county officials had abruptly announced a freeze on as much spending as the law would allow. So there I was in the office of the deputy executive director of a very large nonprofit –they had dozens of different programs all going at once, everything from Meals-on-Wheels to mediation services- and she was telling me that she was abruptly canceling a contract we had. The plan had been for me to help them assess the operation of about six problematic programs and then build a performance management system for each one. The ED had broadly hinted that if the effort went well, they might ask me to do the same for other programs in their portfolio. I had been thinking that I had a really useful stretch ahead of me, one where I could make a truly positive contribution to an important organization’s work. But now I saw nothing but a large ROAD CLOSED sign blocking my path. On the face of it, her statement was ludicrous…but it also made a sort of sense. I understood. I have been thinking of that day a lot recently, as I watch and read about the unfolding reaction of the nonprofit sector in the wake of last November’s elections. It is feeling a lot like Yogi Berra’s Déjà vu all over again. President Trump had not even been sworn in yet when the first of the ominous solicitations arrived in my e-mail. The recent election, it read, raised uncertainty—how will this affect the most vulnerable among us? Will it crush the budgets of crucial community services? Are our nonprofits prepared for the challenges ahead? Like me…maybe you will give more than usual toward advocacy or basic services. Another, this one a bit more panicked, soon followed: Many folks who work in our sector were taken by surprise by Donald Trump’s victory. Shock, fear, dread and more fear are dominant emotions today among my nonprofit friends, including me. We’re worried about what kind of impact will we see. Here are the questions we are asking ourselves today: Will public funding dry up even more? Will nonprofits face even more budget cuts as a newly conservative Congress slashes more and more government programs? Don’t let public radio be silenced! read a third. Needless to say, each (and those that have followed) asked for a “meaningful” increase in my donations to offset the threat of bankruptcy, closure, and the end of services. Over in the trade publications –The Chronicle, NPQ, etc. – things are not much different. Since November, it seems as though an awful lot of stories have had to do with actual or anticipated budget cuts. But higher performance and better results? Not so much. 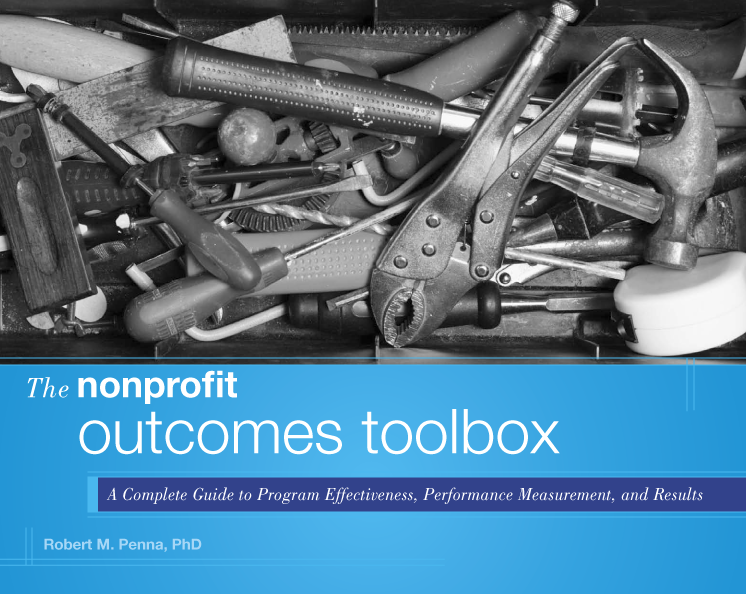 One organization, which last year had been planning to focus its 2017 conference on performance management and measurement, shifted the theme to “Being Ready for Change.” Meanwhile GuideStar announced a new program, its Platinum Level, touted as a way for nonprofits to report on their performance, but one which actually gave significantly more weight to activities than genuine results. Few seemed to notice. Now, it isn’t as though no one is talking performance any more…Mario Morino and his Leap Ambassador colleagues are, to their continued credit, still doggedly preaching the gospel of higher performance. But in the face of so much focus on money, they can often seem like a lonely voice in the wilderness, their message having to fight to overcome the street level din and chatter of funding and policy worries. So what is going on here? Is the sector merely distracted…or have outcomes, true results, and meaningful performance measures become passé in the face of potential threats to its budgets? Not to be political, but there is no question that the election of Mr. Trump and GOP majorities in both houses of Congress –not to mention a preponderance of state legislative chambers- was not what the sector was expecting. One does not have to read tea leaves or Chi Chi sticks to appreciate the fact that many in the sector are dismayed that the natural alliance with the White House they were anticipating did not come to pass. So there is a discernible logic to the current focus on money. But does that mean, as the deputy ED of that nonprofit said to me, that At a time like this, the last thing we can afford to focus on is performance and results? “What are you telling them?” I asked. “How long we’ve been here…how important we are to the community,” was his answer. I didn’t need to ask where the organization’s actual performance fit into his pitch: I knew it wasn’t in there. This approach, I humbly suggest, is a mistake. IF the wholesale cuts so many fear actually come to pass, and IF the new administration and its allies in the states are truly going to be as hard-headed as some worry they might be, then wouldn’t measurable evidence of an organization’s positive impact form a powerful argument for support? If money does really become tighter and we find ourselves once again in a situation like that of 2009, should we be relying on emotion or facts to substantiate our claims on funding? The unease many in the sector are feeling is understandable. And marshaling one’s forces in defense of one’s programs, stakeholders, and budgets makes sense. But the baby should not be thrown out with the bathwater here. Crazy as it may sound, this may be exactly the time for the sector to focus on performance and true, meaningful, and measurable results more…not less. In spite of the emotion of the situation, this may be exactly the time for the sector to more fully embrace evidence-based appeals instead of emotional ones. If you think about it, it does make a weird sort of sense.